Located at lat: -34° 51' 57".35; Long: 58° 08' 25".04; 29,9714m above sea level the I.A.R. 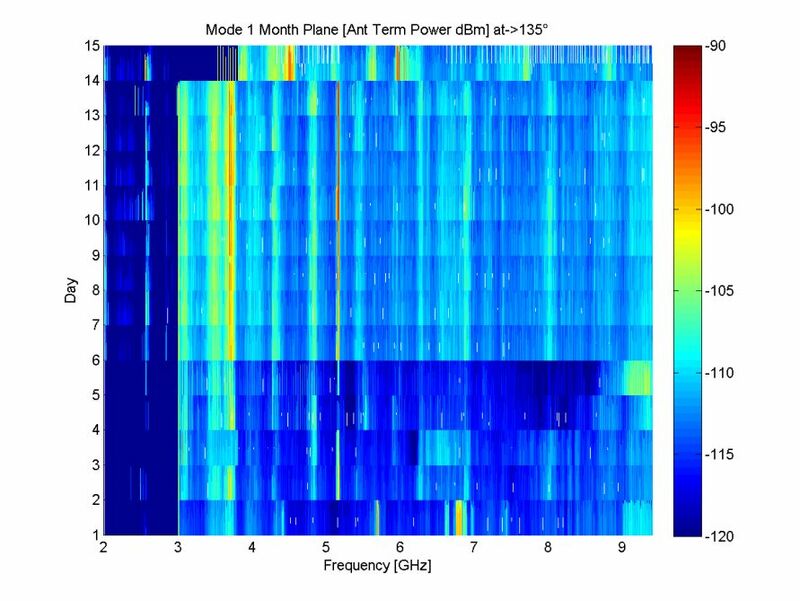 has a permanent RFI monitor station in order to identify strong and harmful RFI for our radio astronomical equipment. 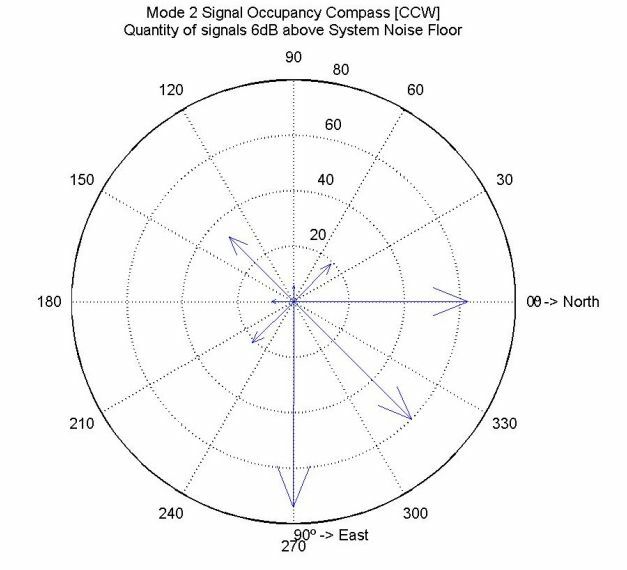 The monitor located 14mts above ground, has a spatial coverage of 360° in order to identify the direction of the strong RFI and frequency coverage from 2 GHz up to 9 GHz with a overall system gain of 75dB capable of detect signal down to -110dBm at the antenna terminals, for two antenna polarizations, vertical and horizontal. 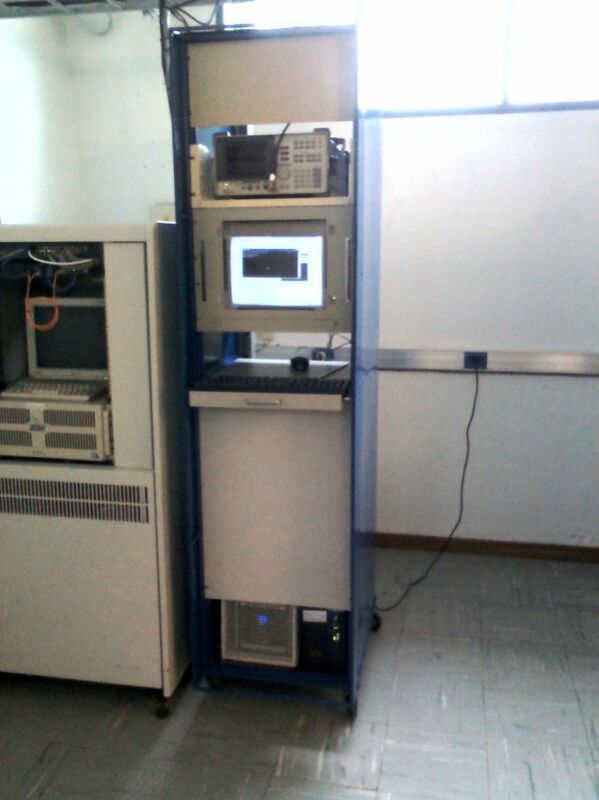 As a receiver and acquisition unit a hewlett packard Spectrum Analyzer controlled by a desktop computer its being used. 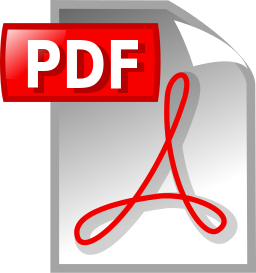 All the data acquired it´s processed offline and automatically done under a linux O.S. computer. As a remark both the rotator and the electronics of the RF section where designed and assembled in the IAR. The RFI monitor station its basically used to help to identify strong RFI as locally generated like RF equipment, computers, cell phones or any other equipment at the IAR or externally generated like Radio Data links, or other spatially located source. 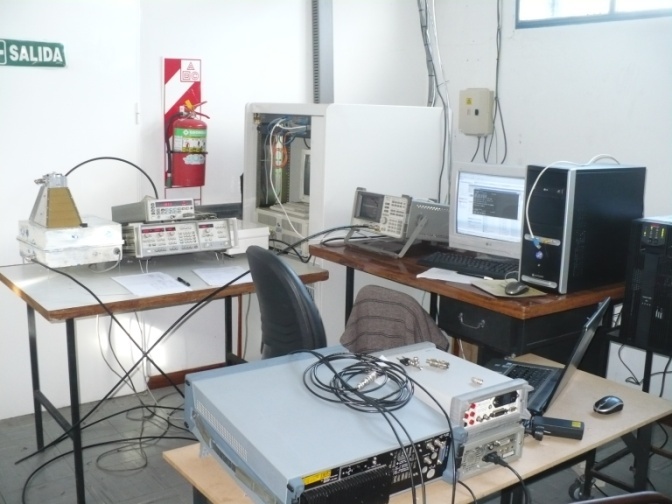 Also the equipment can help to characterize or measure a particular site by its geographical relocation, like was done for the SKA Argentine characterization Site Campaign in San Juan Argentina. 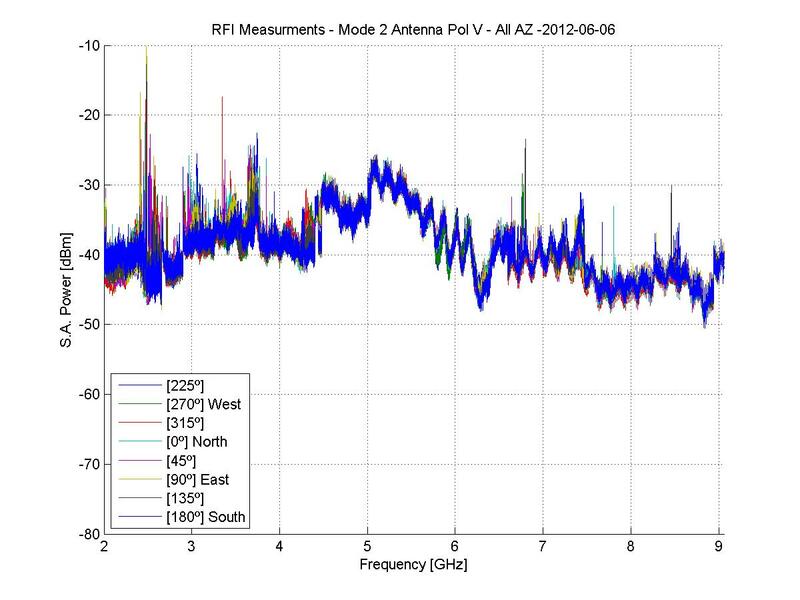 Feb - 2014: IAR RFI Monitor, 1GHz - 18GHz, First measurements & calibration. 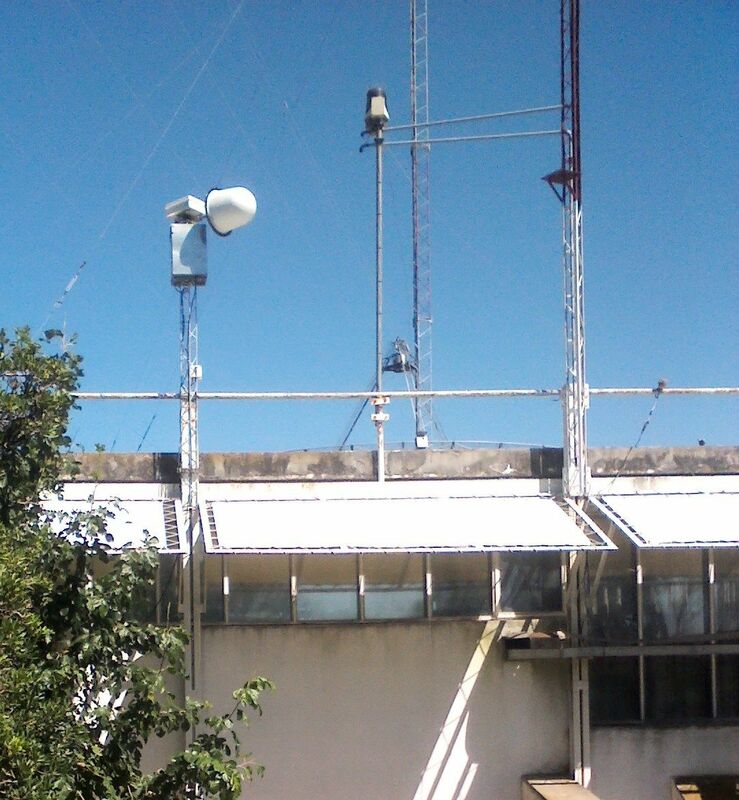 Mar - 2015: IAR RFI Monitor, 1GHz - 18GHz, Installation of the equipment on the control room. 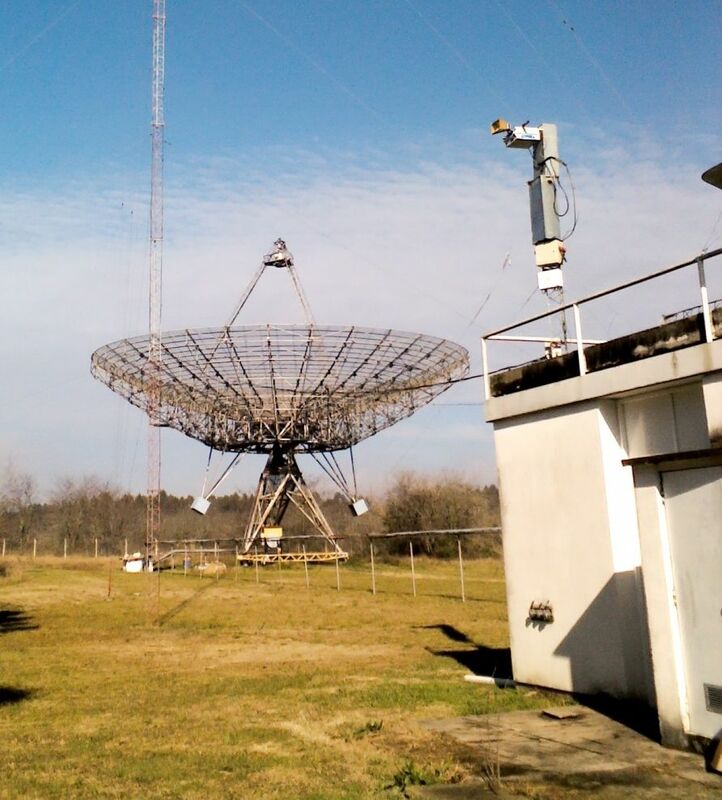 Mar - 2015: IAR RFI Monitor, 1GHz - 18GHz, Beginning of RFI measurements. 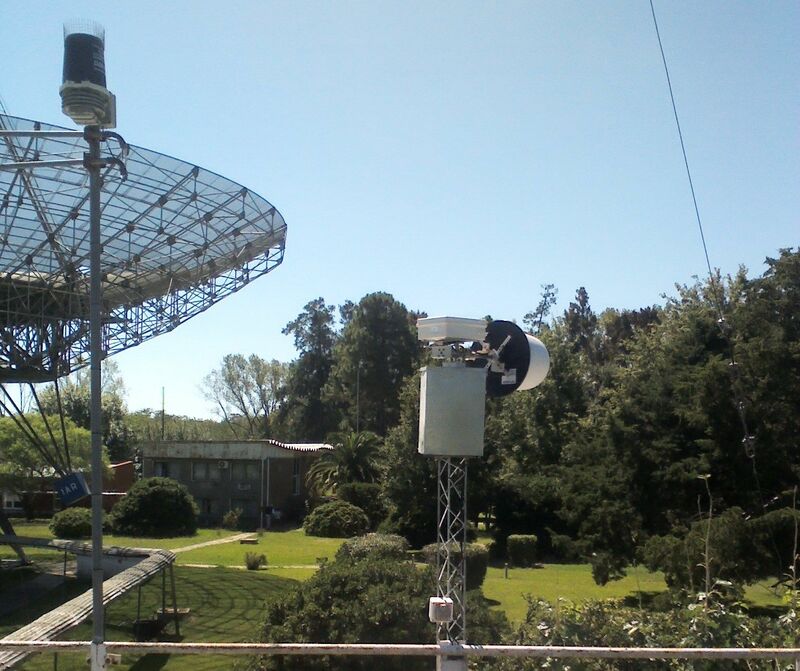 "Development of an Electromagnetic Interferencie Monitor from 1 Ghz to 18 Ghz"
"Introducción a la Gestión del Espectro para Radioastronomía"
"Radio Frequency Interference: Equipment and Measurements"
"Radio Frequency Interference Observations at IAR La Plata"
"Radio Frequency Interference TIGO - IAR Measurement Campaign"
View of the second 30mts dish antenna and the RFI monitor rotor on top of the antenna an back-end control room. View of the rack that contains the acquisition computer, H.P.Spectrum Analyzer and control electronics. Early RFI measurement´s and detections.